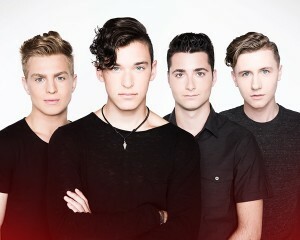 An Interview With The Pop-Rock Quartet, THE CATCHING! 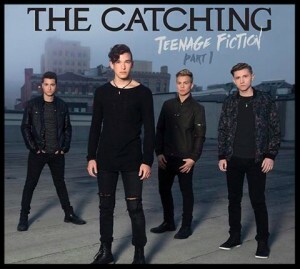 Asbury Park’s pop-rock quartet, The Catching, released their debut EP, “Teenage Fiction Part 1” on September 23rd. In support of the EP, the band will join this fall’s High School Nation tour which is set to play in front of 100,000 students across the country. Currently, The Catching can be seen performing and participating LIVE on leading global social platform YouNow, where they are consistently in the Top 5 on YouNow’s “Global Broadcasters List” based on fan engagement. The band is comprised of teenagers Holden Glazer (vocals, bass), Jake Farbman (guitar), Evan Hemwall (guitar) and Drew Stevens (drums) who initially met as 10-year-olds, while performing together in local New Jersey music programs. 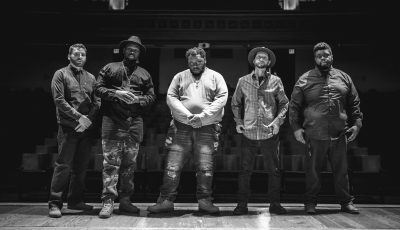 Quickly realizing they shared amazing chemistry, and a common vision, this group of talented musicians began collaborating on writing original music. Ultimately, The Catching was formed in 2014. The High School Nation tour will take the band to schools in San Antonio, Houston, Dallas, Oklahoma City, Tulsa, Springfield, St. Louis, Milwaukee, Chicago, Indianapolis, Columbus, Cleveland, Philadelphia, Baltimore, DC, Richmond, VA Beach, Raleigh, Charlotte, Charleston, Columbia, Atlanta, Memphis and more! Of course! Eventful and groundbreaking for sure. We’ve had a lot going on recently and everything is going very well, just the way we want it too. The response to everything including the release of our EP and the crowd’s interaction on our current tour is amazing. Not necessarily, however, we all always had such a strong love for music growing up. It wasn’t until we played our first show together ever that we realized how much we really needed music in our lives and would love to make it our livelihood. For me the earliest musical memories I have go back to being in the car on the way home from the beach at 3 or 4 years old and my dad blasting “Take It to the Limit” by The Eagles and my mom absolutely loving Coldplay’s “Don’t Panic”. I used to know every word to those songs and still do to this day. How did The Catching first come together? How did you come up with your band name? We all grew up together playing music in school of rock and were friends around ten years old, but didn’t put this band together until 3 years ago, when Drew Jake and I were already playing a lot, but needed another guitarist. We brought Evan in and then The Catching was born. The name comes from the title of J.D. Salinger’s, Catcher in the Rye, where my name (Holden) comes from. We basically threw out any names related to the street we lived on or our family’s background and picked the best one. You recently released your debut EP, “Teenage Fiction Part 1”. What does that feel like? How long had you been working on this collection? Honestly, it feels great. These songs had been in our pocket, recorded the way you hear them, for over a year when we dropped the EP, so it was a huge weight off of our shoulders for them to finally be out in the world. It was dropped at the perfect time too, so we couldn’t be happier. Have you already started working on “Teenage Fiction Part 2”? How will the songs on this EP be different then Part 1? Oh yeah.. TF2 is wild. If you like part 1, you don’t know what you’re in for. The writing for the next “thing”, now most likely part 2, started the day we finished this EP. Since then, I’ve written around 50 new songs and each one tops the one before it. We are starting to get a better idea of which ones are going to make the next EP. All I can say is that I couldn’t be more excited and I really feel like the next EP will put us on the map, worldwide. What are some stand-out tracks on the EP? What was the inspiration for the majority of the songs on it? We recorded these songs as a part of a larger album of 11 songs, so we picked our 5 favorites and went from there. My favorite is Wild Ones just because of the message and huge production it has. The EP is mostly about youth and the struggle to be yourself in the modern age with so many negative opinions and factors surrounding. In the end all I want is for everyone to be who they really are no matter what and do them. Do you have a fall tour scheduled? What do you think makes for a perfect show for you guys? We are actually on tour right now! It’s called the High School Nation Tour. It’s amazing. A perfect show is just having the crowd enjoy it as much as we do on stage. Anything more is an absolute extra. Just how drastically it has changed from downloads being the popular format to streaming. Streaming is really at the forefront in the industry right now and will only continue to grow. 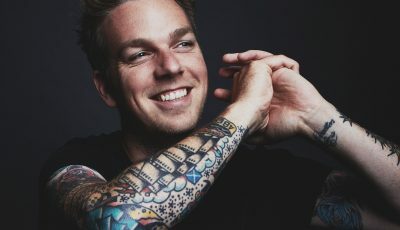 The biggest challenge has been getting a single to blow up and cut through the mass of what is out there, that being thousands and thousands of bands and artists. What has come naturally is our presence on social media and just being ourselves, as well as our style and live performance (although that was worked on for a long time). Who are some of your favorite artists and what bands continue to inspire you and your music? Who would you love to work with in the future? Bands like Green Day, Fall Out Boy, Kings of Leon, U2, Coldplay, etc.. continue to inspire us on the daily and working with any producer that has produced those bands or any member from those bands would be incredible. We honestly write or play music in our downtime a lot, but if its not that it’s hanging by the pool or beach in the summer and in the colder seasons its binge watching a show on Netflix or hanging with friends. Nothing crazy. I surf in the summer sometimes. Positivity and the sense of community. I want all the listeners and fans to know we are in the boat with them and they are as big of a part of The Catching as we are. Thank you for everything and I would just say never give up and be who you are in anything you do music related or not. Husband and Wife Duo US THE DUO Discuss Their Latest Collection, Their Musical Growth And More! 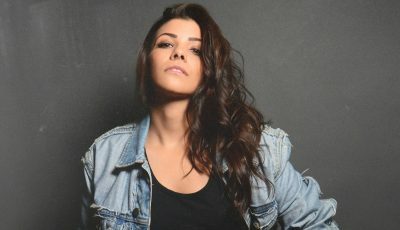 EDM Songstress, ROZES Discusses Her Latest Musical Project, What It’s Been Like Working With So Many Artists and More!